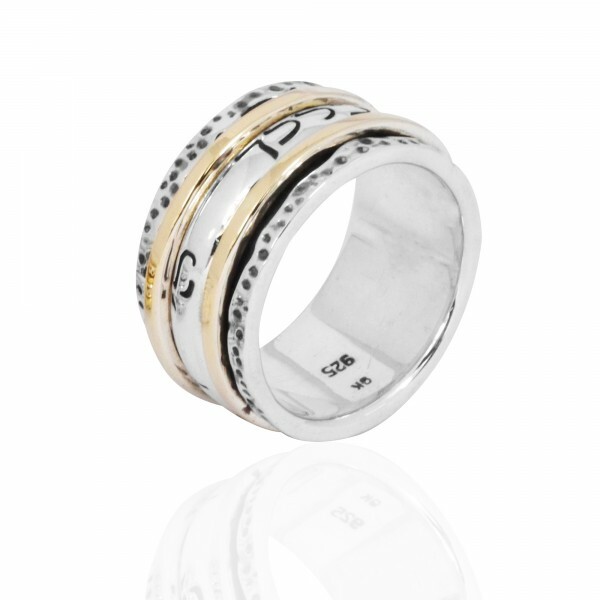 Meaningful and well designed, this good looking spinner ring is made of Sterling silver and 9k gold and the words engraved into it as well as its design make it a wonderfully stylish and meaningful choice of adornment. This lovely spinner ring occupies the fingers while holding style and meaning in its design. 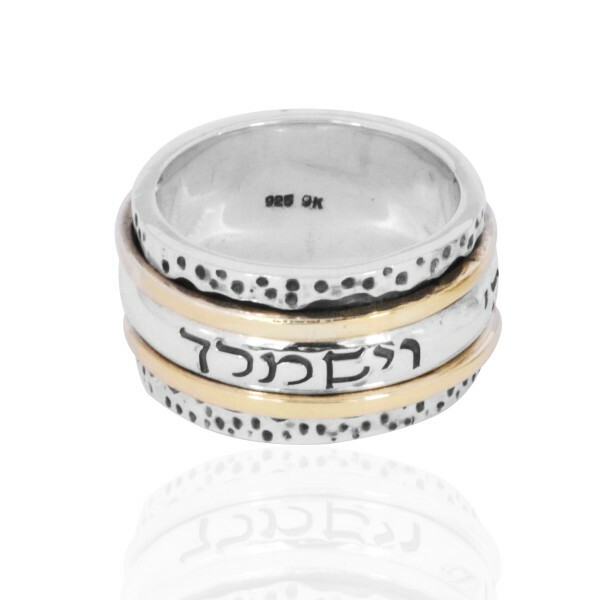 A hammered texture, this piece of Jewish jewelry is made of Sterling Silver and 9K Gold and the words engraved into the middle ring read "May Gd Bless and Protect You" in Hebrew.